If you are yet to upgrade to version 12.X of EaseUS Data Recovery Wizard, then you’re missing a lot in features. The latest version of EaseUS Data Recovery software comes with features that makes it easy to get back lost files in a few minutes. There’s an improved data recovery functionality for Micro SD cards, USB sticks, flash disk drives, internal and external hard disk drives. You can easily recover files from deleted partitions and partly failing disks. Data loss can be disturbing for businesses, particularly if you not have a disaster plan. Data backup is the primary approach for defense against data loss, but backup servers can also collapse. Unintentional erasure of data happen more often than you’d think, but just because something is gone from the recycling bin doesn’t mean it’s gone from your pc. When files are deleting from your pc, the data remains on the disk and isn’t permanently removed until it’s overwritten with new data. Because operating system just remove the file index from its information table where it stores all file location. All Data recovery software scans for that hidden data and recover it as complete files almost 90%. The raw data can sometimes become damaged or incomplete in the process. But different solutions are better suited for different data loss scenarios, increasing your chances for the most recovery. 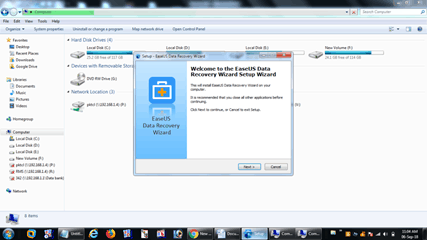 By doing some research I found free tool which amazingly recover most of the lost data very quickly which is Free EaseUS Data Recovery Wizard It is a free Data recovery tool that can recover the lost data to the PC’s or drive. Normally every good data recovery application should be able to provide a preview of recovered files. 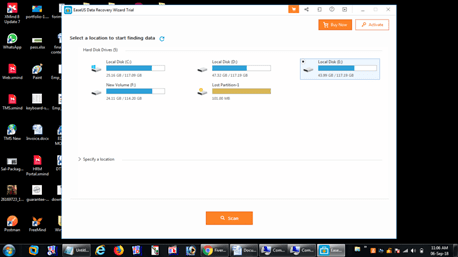 Easeus Data recovery software preview windows comes with: filtered and searchable results, easy file restoration and additional tools. You simply need to install the product and the application will examine the PC scan and recover the deleted or corrupted files for you. EaseUS Data Recovery Wizard is very much Compatible with almost all major platforms such as Microsoft Windows, Linux, and Mac OS X etc. 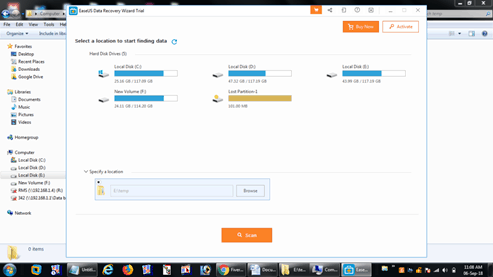 EaseUS Data Recovery Wizard Free is a software that’s designed to scour the hard drive and locate any recoverable data, piecing it back together and providing it in a salvageable format. The best data recovery applications provide a preview of recovered files, filtered and searchable results, easy file restoration and additional tools and the most important thing is that EaseUS Data Recovery Free can recover up to 2GB of data very quickly. The interface is comfortable for all levels of computer users and the recovery process is quite simple. From novice person to expert users can easily install it and operate it for free. Just like the older versions; version 12.0 of EaseUS Data recovery Wizard lets you recover up to 2Gb of data, Also by sharing on social media sites like Facebook, Twitter and Google+, EaseUS Data recovery Wizard will give you 1.5GB data to add up to the 2GB space offered. Step 1: Download and Install EaseUS Data Recovery software. You’d need some free space on your system drive and at least the XP service pack 3 version of Microsoft Windows operating system to be able to use the software. Step2: Point to the location where you want a data recovery scan (Hard drive folder, Recycle bin, External storage drive, and etc). Step3: Click on scan button to start a data recovery scan. It will scan the location thoroughly for files that are recoverable by the software. Last Step: Allow the software to run to the full and get back the files you’ve marked for full recovery. That’s how pretty easy it is to undelete files and folders from the emptied Trash with the free version of EaseUS Data recovery software. If you’ve experienced major data loss, there are a few things you should keep in mind before exploring your recovery software options. As soon as you realize data was deleted from a computer or server, you need to act fast. If your business uses a network, immediately restrict access to the drive where the data was located so that no further data can be uploaded and lost files are no longer at risk of being overwritten. With these precautions observed, it will be 100% easy to get back your lost or deleted files. This is a great post you shared with knowledgeable info, and I’d definitely use this method for getting back my lost document and files. Thanks for sharing this lovely tips. Wow This lovely tool has really helped for my personal backup needs.